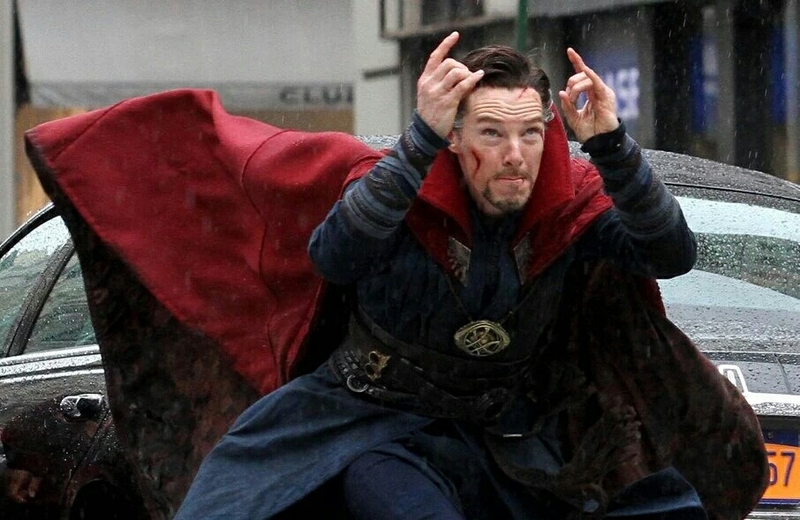 Over the weekend tons of new Doctor Strange behind the scenes images made there way online for our consumption. 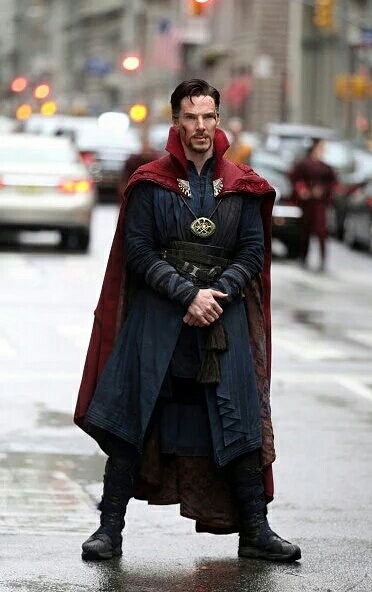 Most of the pics are of Benedict Cumberbatch in his Doctor Strange gear running up and down the streets with Chiwetel Ejiofor. The main highlight of all these pics which we have posted for you below is the first reveal of Mads Mikkelsen's Villain. Check out all cool images below and sound off in the comments with your thoughts. Check out the first images of Mads Mikkelsen's Villain that is still not confirmed, but is most likely Dormammu.